With beautiful green lawns and pleasant courtyard grounds, Harbin Pointe Apartments is your home for pet-friendly living in Bentonville, AR. Our apartments for rent are crafted to accommodate the needs of pets and the people who love them. 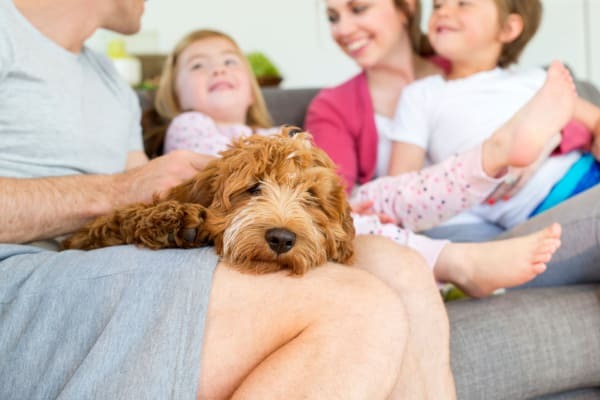 With floor plans ranging from 660 to 960 square feet, you and your pet will have plenty of space to play and relax. Indoor pets will enjoy watching the birds and squirrels through the large windows, while outdoor pups can take advantage of the sprawling green space at the onsite dog park. 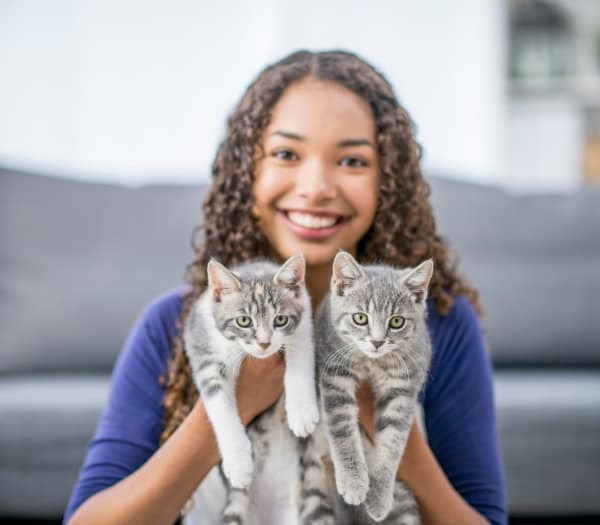 Whether you have a playful dog or a laid-back cat, your new home at Harbin Pointe Apartments is perfectly designed to enhance your lives together. Ensure your life is as comfortable as it can be at Harbin Pointe Apartments. We are proud to offer one and two bedroom pet-friendly apartments for rent in Bentonville, AR. Featuring a large and well-lit floor plan, your new apartment home is perfect for pet-friendly living. Enjoy a game of fetch with your dog in the spacious interior or let your cat enjoy some safe outdoor time on your private balcony or patio. Give us a call for more information about our pet-friendly apartments for rent in Bentonville, AR.